The B2B marketing world has changed a lot over the past decade. One especially important news trend is the growing emphasis on measurement and analysis. 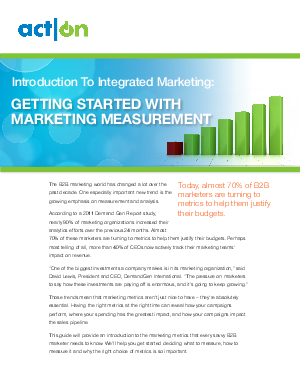 This guide will provide an introduction to the marketing metrics that every savvy B2B marketer needs to know. We’ll help you get started deciding what to measure, how to measure it and why the right choice of metrics is so important.